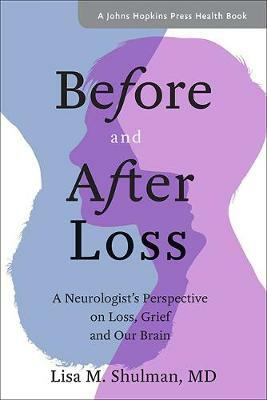 In Before and After Loss, neurologist Dr. Lisa M. Shulman describes a personal story of loss and her journey to understand the science behind the mind-altering experience of grief. Part memoir, part creative nonfiction, part account of scientific discovery, this moving book combines Shulman's perspectives as an expert in brain science and a keen observer of behavior with her experience as a clinician, a caregiver, and a widow. Drawing on the latest studies about grief and its effects, she explains what scientists know about how the mind, brain, and body respond and heal following traumatic loss. She also traces the interface between the experience of profound loss and the search for emotional restoration. Combining the science of emotional trauma with concrete psychological techniques- including dream interpretation, journaling, mindfulness exercises, and meditation-Shulman's frank and empathetic account will help readers regain their emotional balance by navigating the passage from profound sorrow to healing and growth. Lisa M. Shulman, MD, is a professor of neurology at the University of Maryland. She is the author or editor of numerous books on neurologic disorders, including Parkinson's Disease: A Complete Guide for Patients and Families, 3rd edition.